How To Use – Press down gently on the pump to release a very small amount of color. 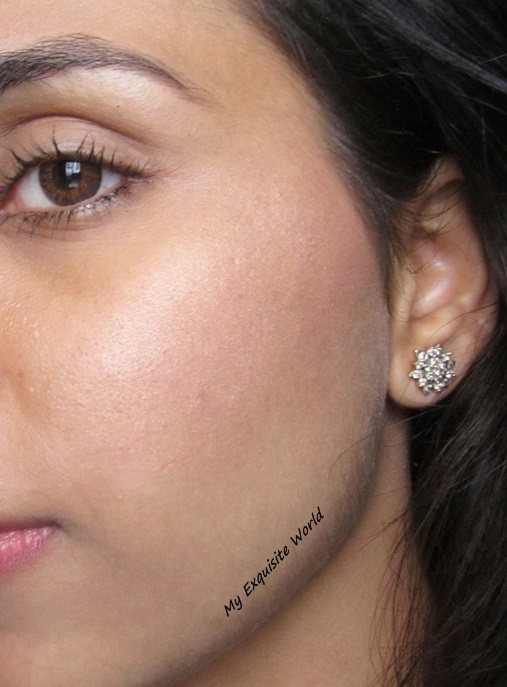 Apply with finger or a stipple brush to the cheekbone in a tapping motion and blend in. 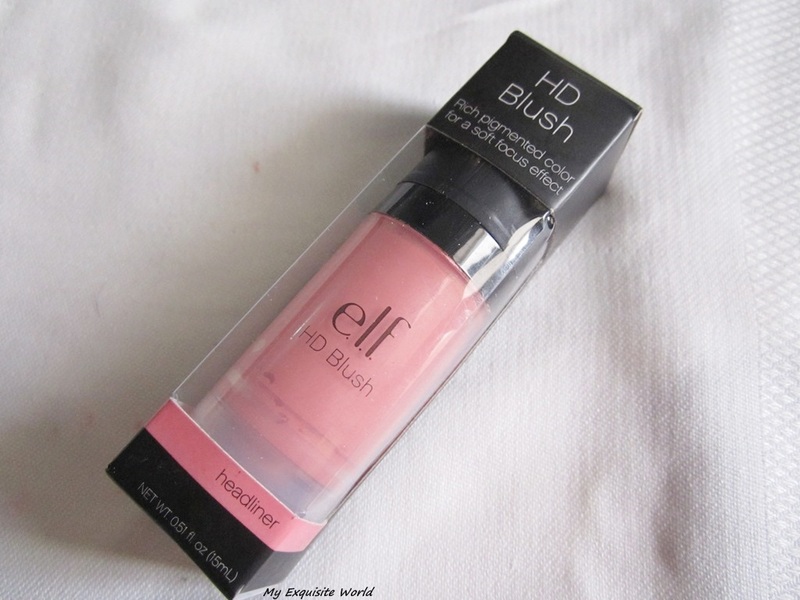 PACKAGING:ELF HD Blush comes in a plastic bottle with a pump dispenser.However pump dispenses too much product in one go, I would recommend pressing the pump really slow to get as less as possible.The shade name is provided at the bottom in tiny letters.The packaging is sturdy and cute. 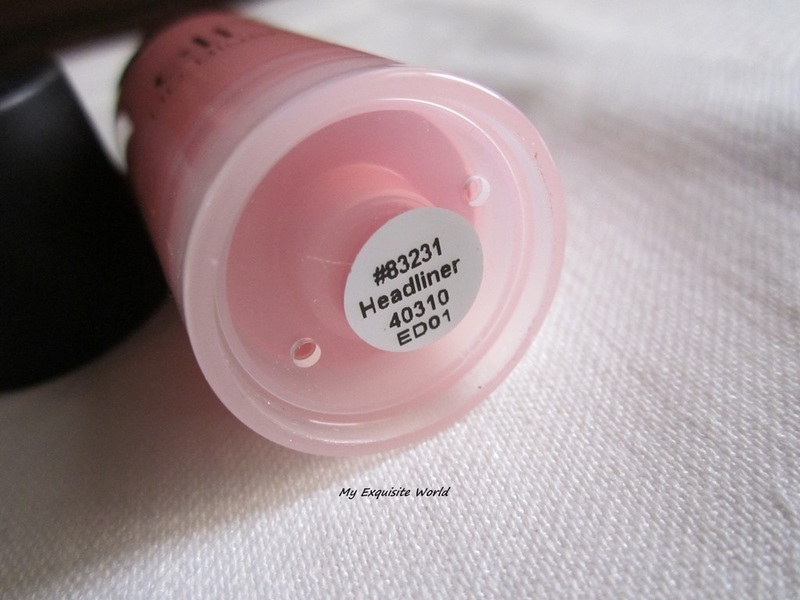 SHADE:Headliner is a very versatile shade.It is a shade that you can easily wear with any look.It is a rosy pink;muted pink with micro shimmer in it.The shade is great for daily wear as well as for special occasions.The shade will suit all skin tones but it will look the best on fairer,pink undertones girls. 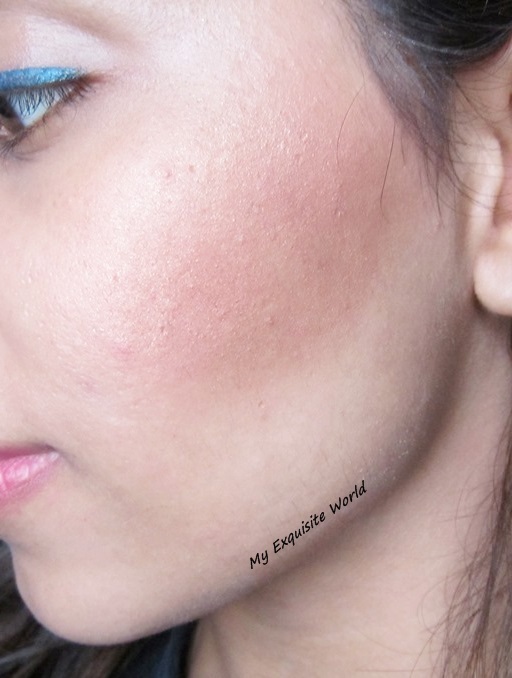 MY VIEWS:The texture of the blush is smooth and it is easy to blend and sheer out.The consistency is just right;neither too thick nor very runny.The blush applies with ease and can be blended with fingers or can be stippled.It gives a natural flush to cheeks.The shimmer present is very subtle and gives slight glow to face.It isn’t OTT. The shade itself is highly pigmented even though it is a light shade.It can be easily overdone.The first time I applied it,it look too much over on me and I had to tone it down.Just a little bit is enough.The staying power of this blush is amazing.Even though it is a cream blush,it stays for good 6-7 hours on me.The formula is light weight and very comfortable.The shimmer present did not clog my pores nor the blush lead to break outs.It doesn’t make my face look oily or greasy. RECOMMENDATION:I highly recommend trying this blush as it is an amazing product.The quality,formula and overall performance is superb.The only con is the limited availability. 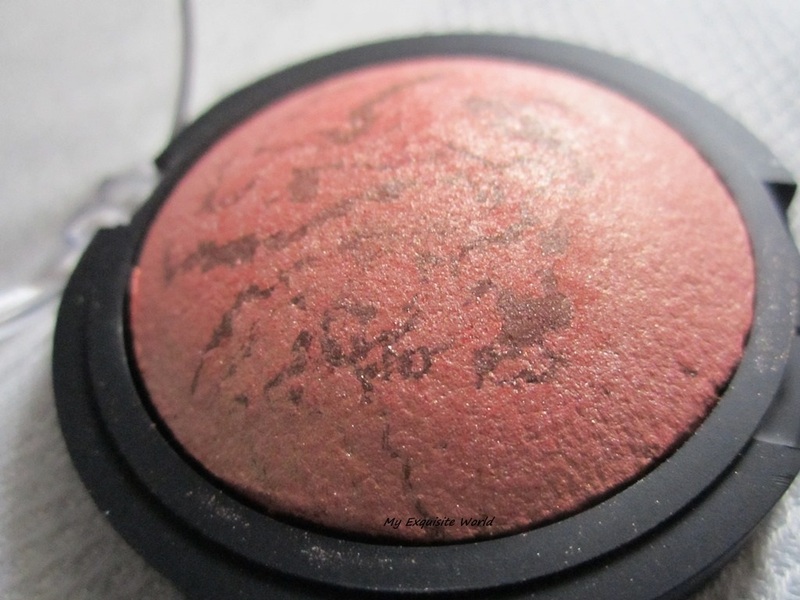 ABOUT:The soft and shimmering color of our Baked Blush creates a natural healthy glow. 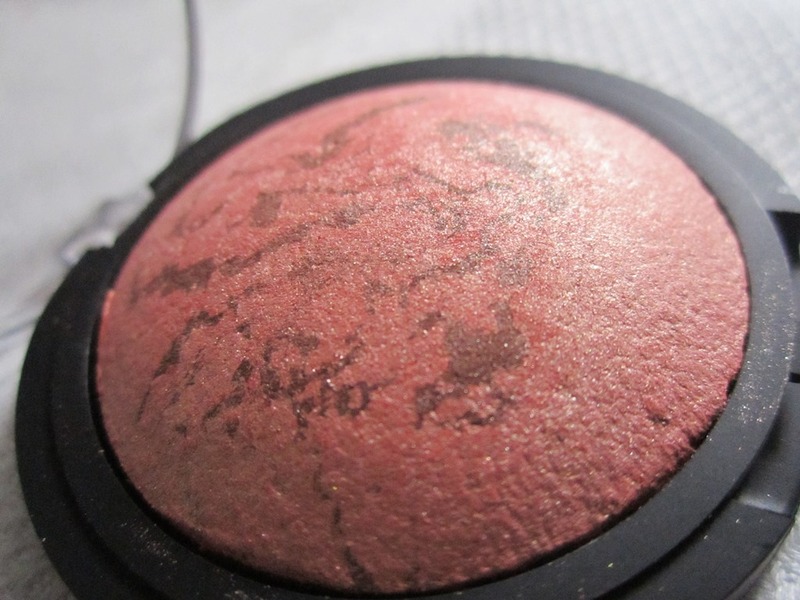 Baked in an oven, these blushes offer rich pigmentation for a beautiful effect. 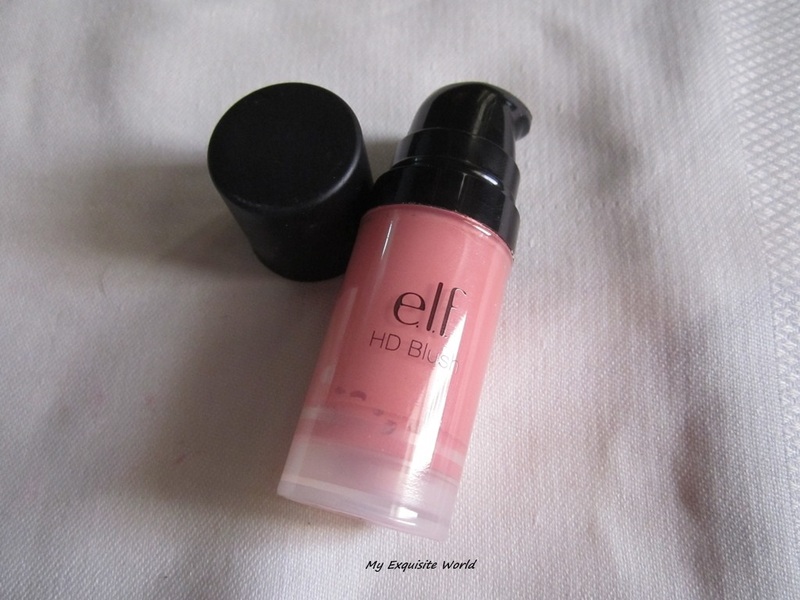 The long-lasting formula provides a gorgeous, smooth and even application. Infused with active key ingredients Jojoba, Rose, Sunflower, Apricot and Grape to nourish and hydrate the skin. Apply this shimmering color dry for sheer pigmentation, or use a damp brush or sponge for a more vibrant effect. PACKAGING: The packaging is simple and neat with around plastic body having a transparent flap.The shade can be easily seen and identified.However,it is not very sturdy and prone to breakage. 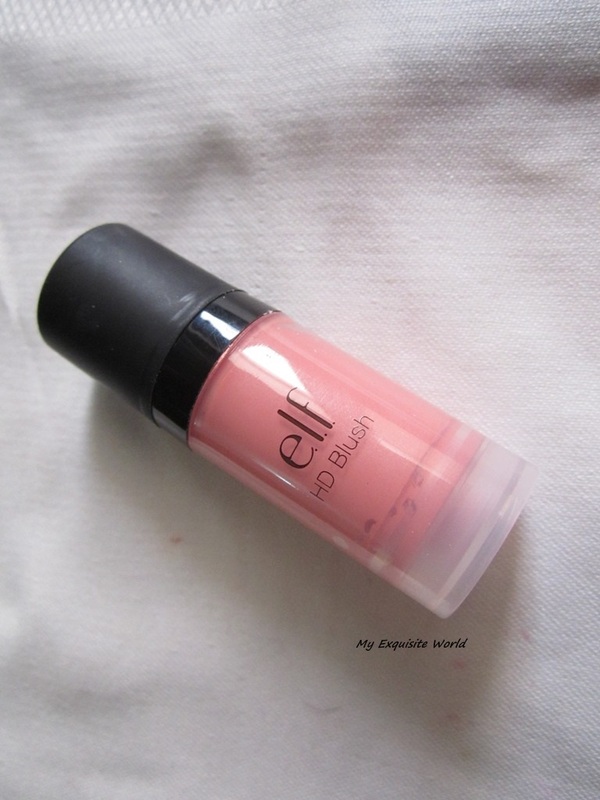 SHADE:Peachy Cheeky is a very pretty, subtle, bright peachy-pearly with slight pink tint shade. It is very similar to Benefit Coralista because of its satin finish and color. MY VIEWS:The powder itself is smooth and, while not that buttery to the touch, applies very evenly across the skin. It imparts a healthy dose of shimmer when applied dry, and a very strong level of shimmer when applied wet.It blends easily and looks even on skin.The shimmer present is non-gritty and well blended in the shade.It didn’t clog my pores neither break me out. 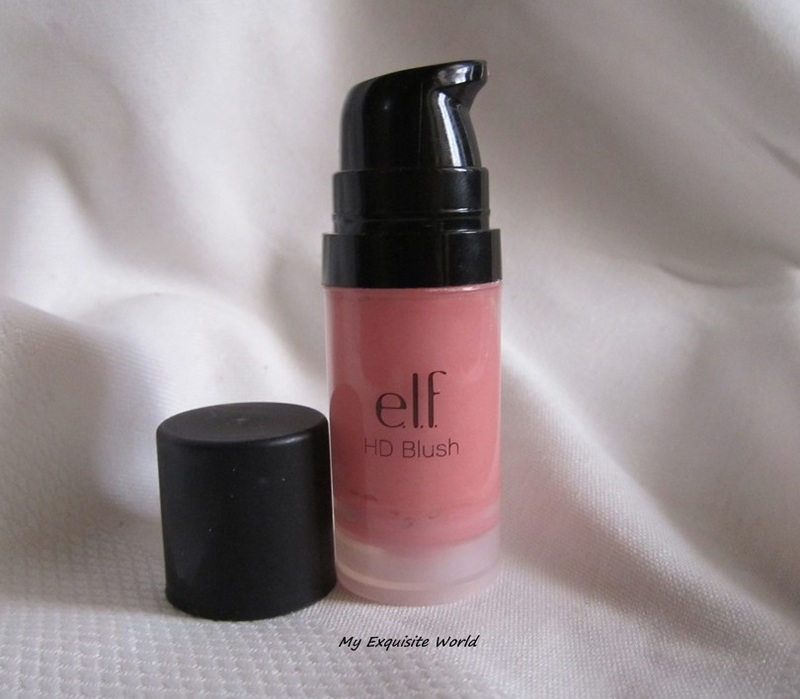 The shade is decently pigmented and can be built as per need.It can be used sheerly as a highlighter as well as a blush.I love the glow effect it imparts.It stays for about 5-6 hours on my face in normal temperature.The peach effect is more visible on fairer skin tone while the highlighter effect will be more prominent on dusky skin tone. I love doing MAKEUP but to achieve a flawless look,we need to use proper tools.E.L.F. 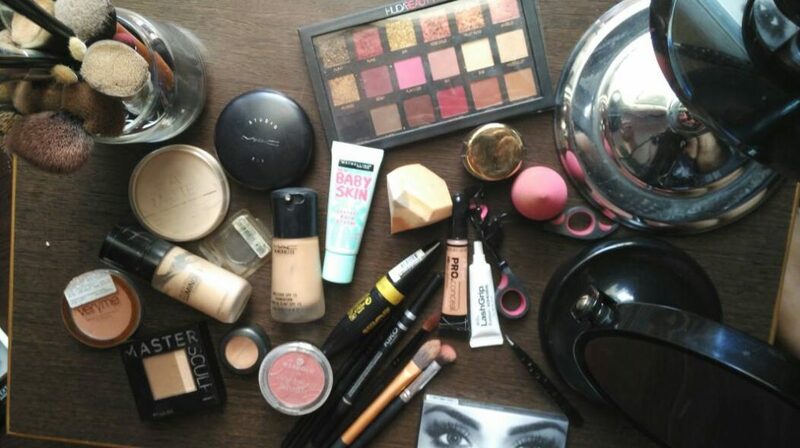 is one such tool to beautify the entire look.The best way to make foundation and makeup last is setting it with powder. 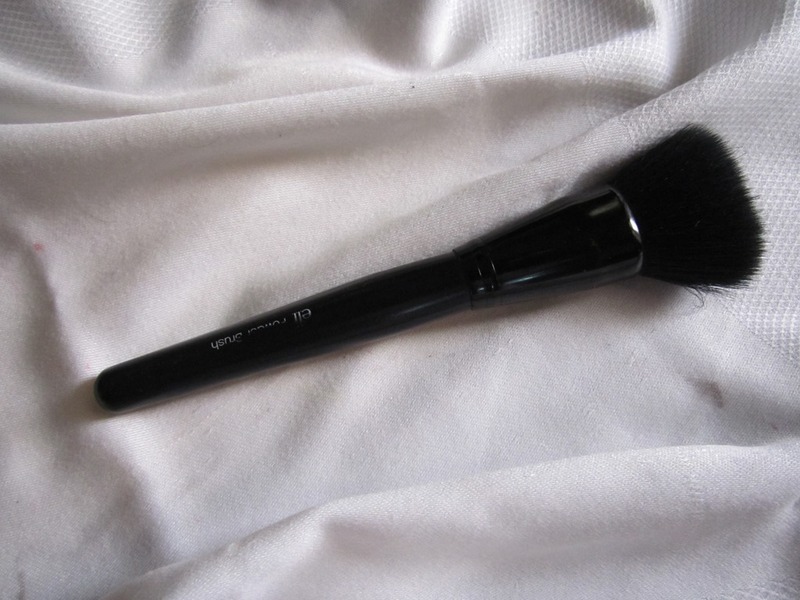 PACKAGING:It’s got a nice solid black handle, dense synthetic black bristles that have a flat cut across the top which is really great for setting the foundation with powder.The bristles are very dense but soft and gentle on skin. MY VIEWS:The brush will seal the foundation onto your skin completely.It sets the makeup so well leaving behind a flawless look with no streaks and neither much of pulling.The bristles are soft and as swirl easily on the skin.I generally pat he powder with this brush rather than swirling.With this,the base isn’t moved and the brush presses the powder on the base as it has a flat top. Pls excuse the dirt sticking as I have to wash it. The brush is soft but sturdy enough not to give when the flat top is press onto the skin.When I set the foundation with powder I dip the brush into powder and tap off the excess. Then I tap powder using the flat top starting from the forehead going to the hairline then down to the cheek area then the outer part of the face. I tap and press as I go making sure that every part of the face that I applied with foundation was never skipped. 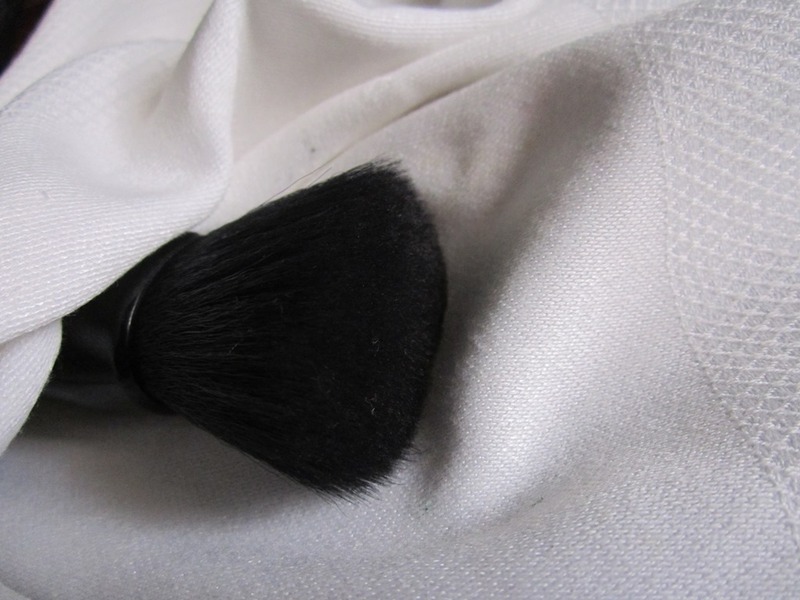 The brush is so easy to clean, since it is synthetic and also dries a lot quicker than my other synthetic brushes. 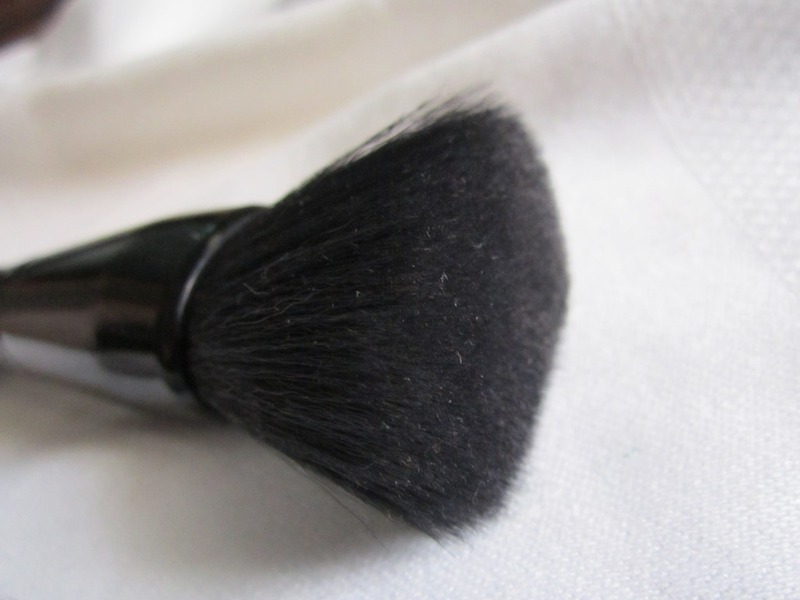 RECOMMENDATION:I absolutely adore this powder brush and recommend it to everyone. 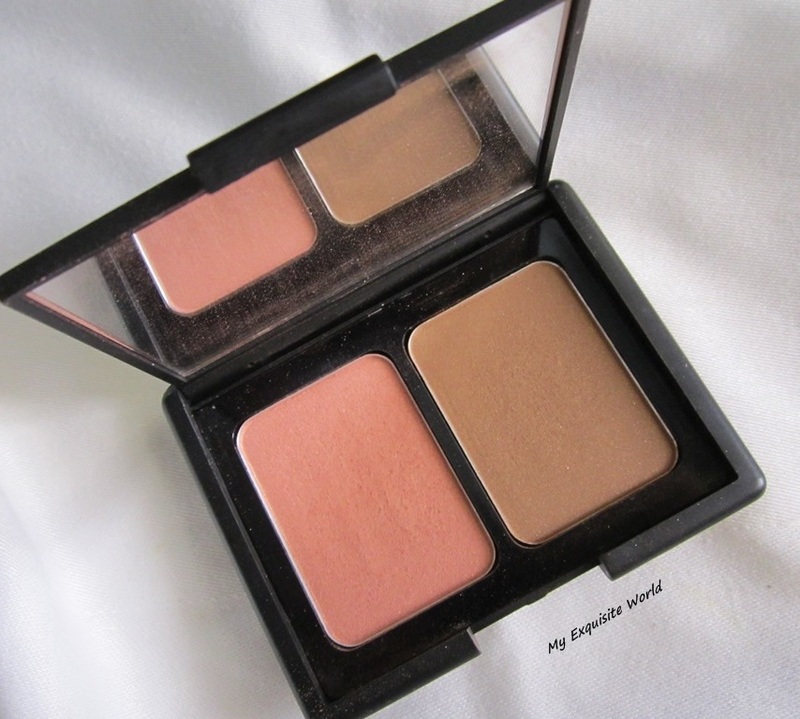 ABOUT: Create a healthy and natural glow all year long with the Contouring Blush & Bronzing Powder. The Blush highlights the cheeks to add a flush of color, while the Bronzer accents and contours cheekbones for beautiful definition. 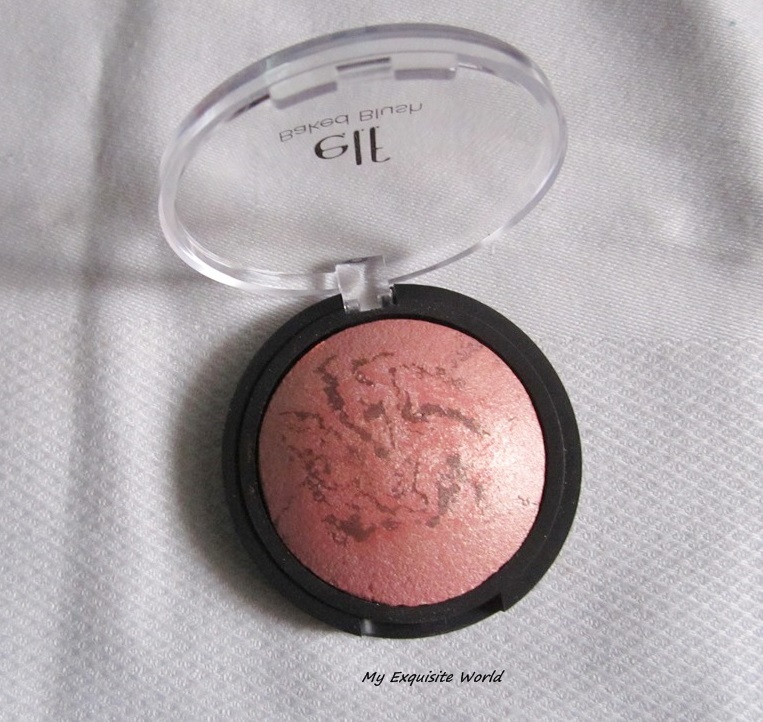 This convenient compact has just what you need to achieve a gorgeous glow anytime, anywhere. 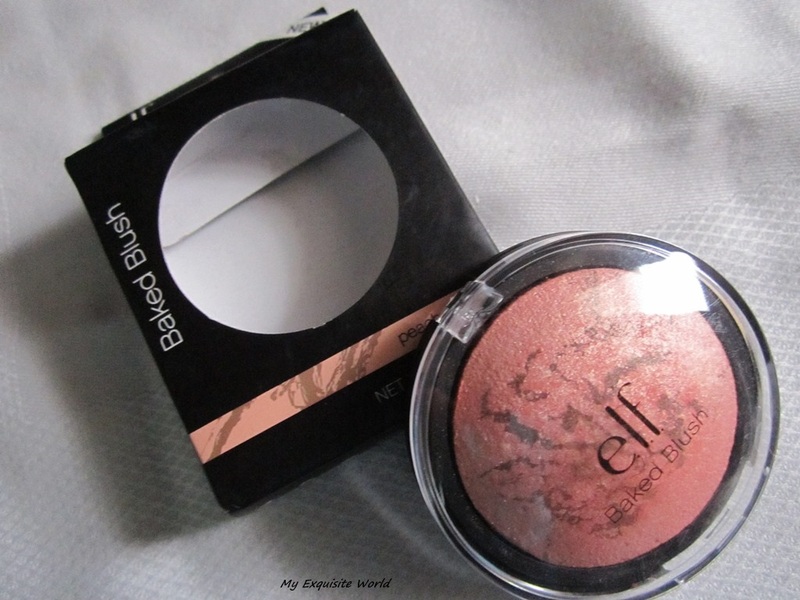 PACKAGING: E.l.f. 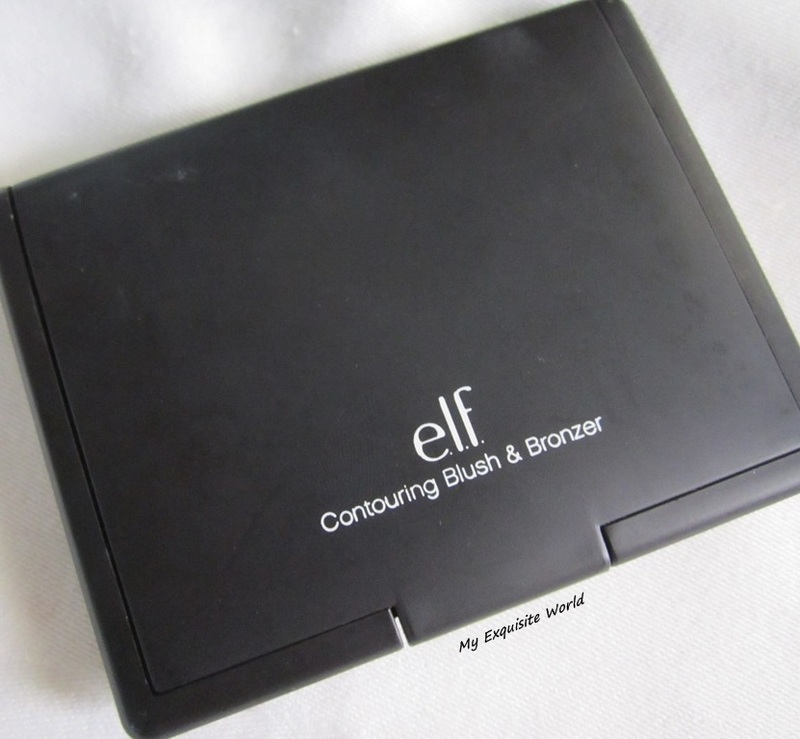 Contouring Blush & Bronzer duo comes housed in a matte black plastic packaging. 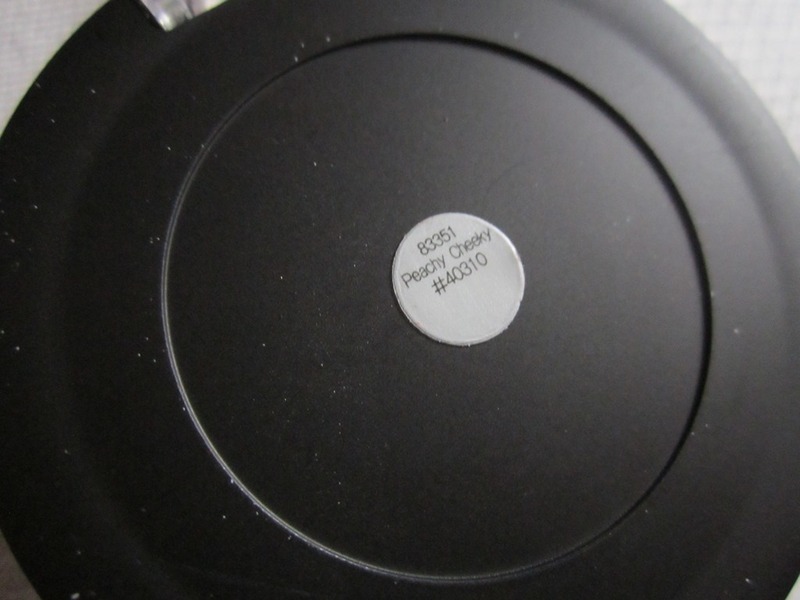 It feels to be sturdy and of good quality to me for the cheap price. The compact is sleek and the lid snaps shut securely with a click. There is a generous-sized mirror inside for touch ups.No brush is provided which are useless otherwise as well so no grudges. 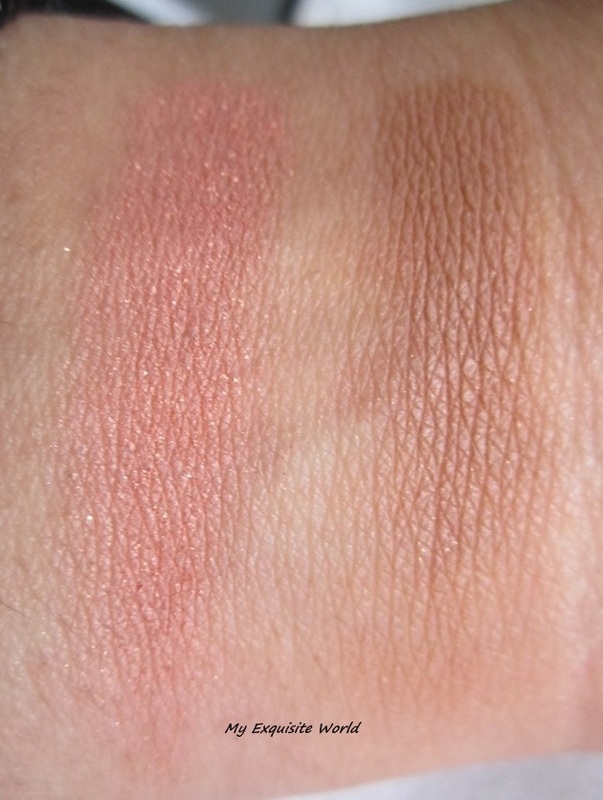 SHADE:The blush is a warm peachy pink shade with tiny gold shimmer. 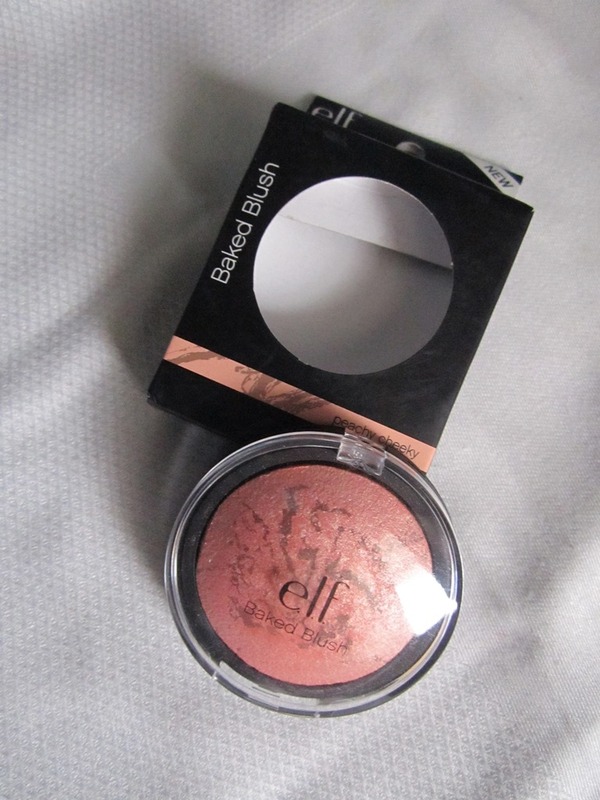 It looks extra shimmery in the pan but once applied on the skin, the shimmer is barely detectable. In terms of texture, it isn’t buttery soft, it can also feel slightly dry and powdery.The bronzer is dark golden brown with tiny gold shimmer but similar to the blush, the shimmer is barely detectable once on the skin. The texture of the bronzer is much softer. 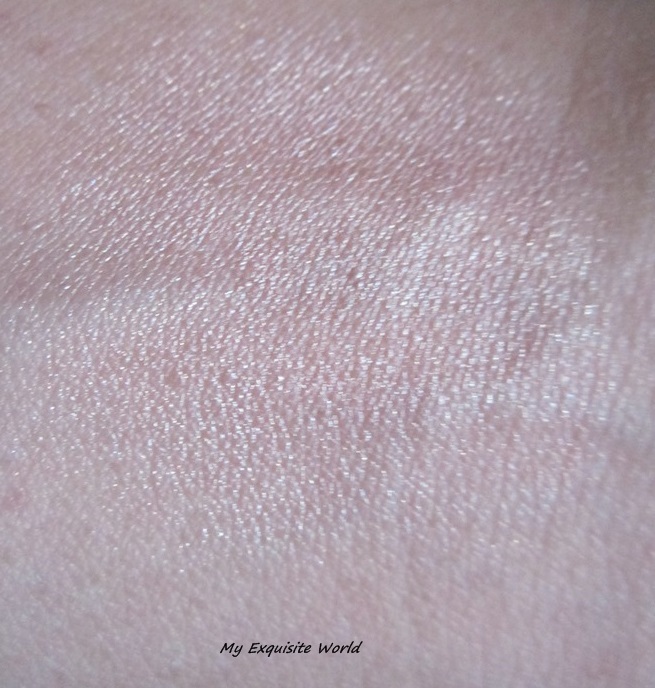 MY VIEWS:The texture is soft but little powdery.It feels chalky but once applied,it goes on smoothly.The shimmer in the blush is very subtle and non-gritty .It adds a bit of highlight on cheeks that glow under the sun. The bronzer is highly pigmented and one has to be careful while applying it.It is much smoother and has less fallout as compared to the blush.The blush stays for about 4-5 hours on me while the bronzer has staying power above 6 hours.Both fade evenly and doesn’t clog pores. RECOMMENDATION:I highly recommend this duo.The shade match is amazing and both will compliment all skin tones though the effect may vary.It has to be ordered online other than this,there is no con! !